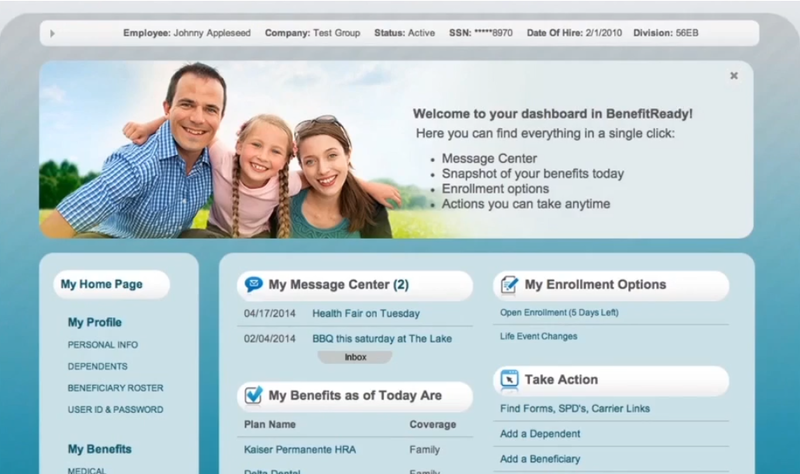 BenefitReady® is a comprehensive employer benefits portal that provides employees with year round enrollment and self-service capabilities. Take a quick tour to see the Enrollment process, patented Decision Support Tools, Knowledge Base library, Message Center, and Benefit Statement. BenefitReady® securely stores information about your dependents, beneficiaries, and all benefit elections in real-time. There was a problem with the page you were trying to view. An error report containing the details of the problem has been sent to the correct parties. You may click the link below to return to your home page. If the problem persists please contact your HR administrator for more information.